If you're staying at SP34 then VAKST is where you'll have your breakfast (if its included in your room rate). The breakfast buffet is served downstairs and is pretty impressive with the usual eggs, cereals and danishes to keep you full until lunchtime. However don't be fooled into thinking VAKST is your typical hotel restaurant, as it's certainly not. Vakst is all about using fresh Nordic vegetables which compliment a good steak, seafood or roasted fish. The restaurant's heart is the greenhouse and the countless plants which draws nature into the growth and into the middle of the old Copenhagen. 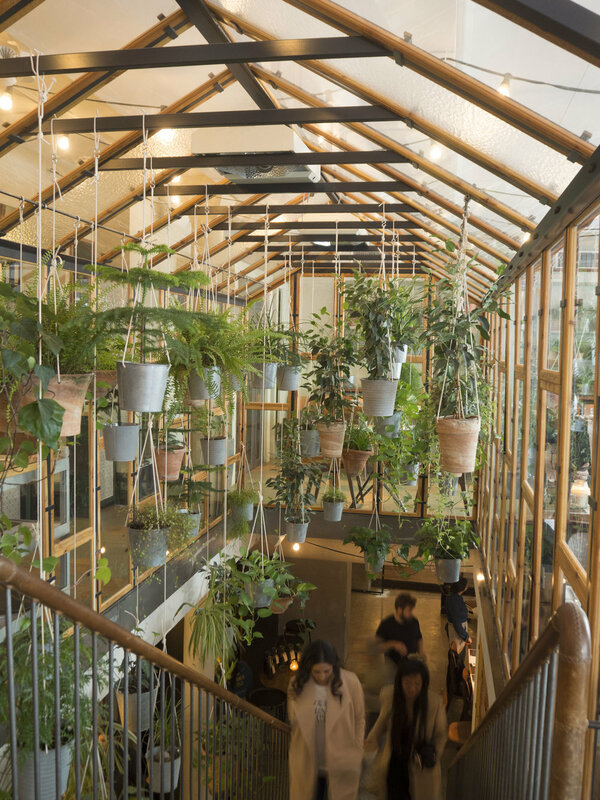 The greenhouse is built up through the restaurant's two floors and conveys both the upper storey light and green universe but also the cellar more urbane and raw atmosphere. Make sure you visit if you're in town. Plus if your staying at SP34 you only need to roll next door. Hire a bike and bike down to Papiroen (a.k.a. Paper Island) on the wrong side of town, where you'll find a warehouse full of food trucks and shipping containers serving street foods from all over the world. Sit and eat right by the water outside, or eat inside. If you choose to dine outside, you'll get the best view of all the ships passing by. Check out the website for opening times, as it varies in season. 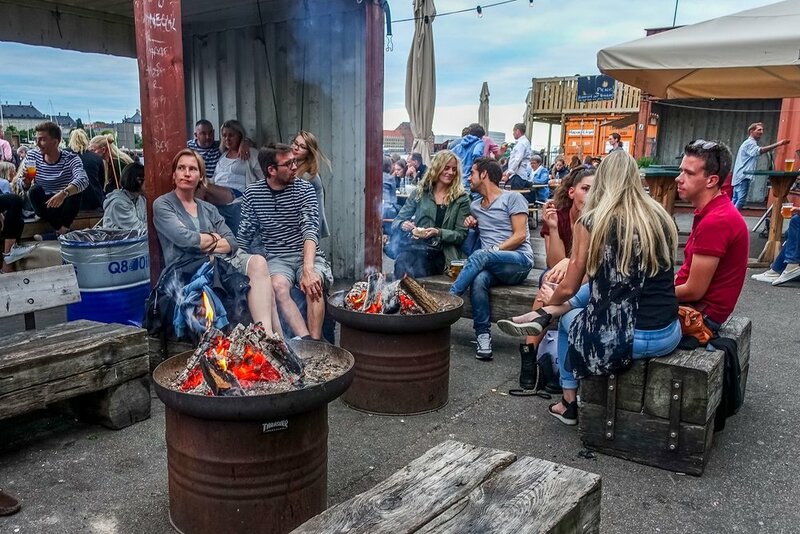 Located in Copenhagen's old meat packing district, Kodbyen, which opened back in 2010. 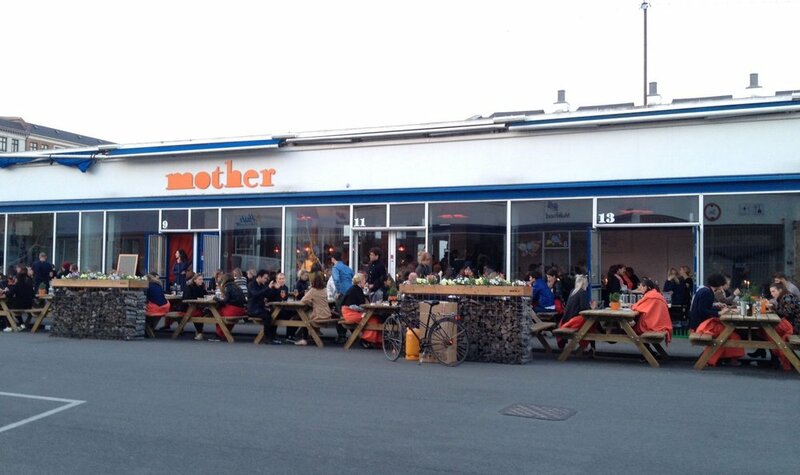 Mother is a simple, laidback, italian restaurant serving authentic Napoli style pizza's, cooked in a wood-fire oven made with their trademark sourdough. They bring a lot of produce from Italy, such as prosciutto, salami, parmesan, olive oil, flour, fruit and vegetables & their own super-fresh mozzarella made in Copenhagen from organic local milk.